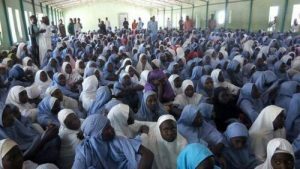 94 students of the Government Girls Science and Technical Secondary School at Dapchi town in Bursari local government area of Yobe state are reportedly missing after an attack from Boko Haram on Monday February 19th. Sahara Reporters reports that the parents of the students in the school had a joint head count with teachers of the boarding school yesterday and discovered that 94 of the students are missing. Initially there were reports that the teachers and the girls in the hostel, over 700 in number, ran into the bush when they heard the gunshots of the sect members. However, after the headcount on Tuesday, it was discovered that at least 94 of the girls were still missing. The school was immediately closed down while education authorities and security forces in the state began efforts to locate the missing students. Although the raid happened on Monday, the school authorities and parents waited to do a head count of the students to be sure of the exact situation. 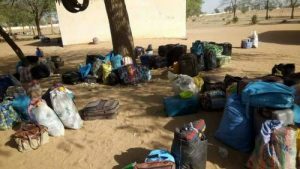 According to residents of the community, Boko Haram terrorists came into Dapchi town with trucks mounted with high caliber weapons shooting sporadically and later headed to the girls’ hostels at the school where some 740 girls were resident. The sound from the sect’s militants explosives and gunshots alerted the students and their teachers who immediately scampered into nearby bushes for safety. However, after the headcount on Tuesday, it was discovered that at least 94 of the girls were still missing. The school was immediately closed down while education authorities and security forces in the state began efforts to locate the missing students.